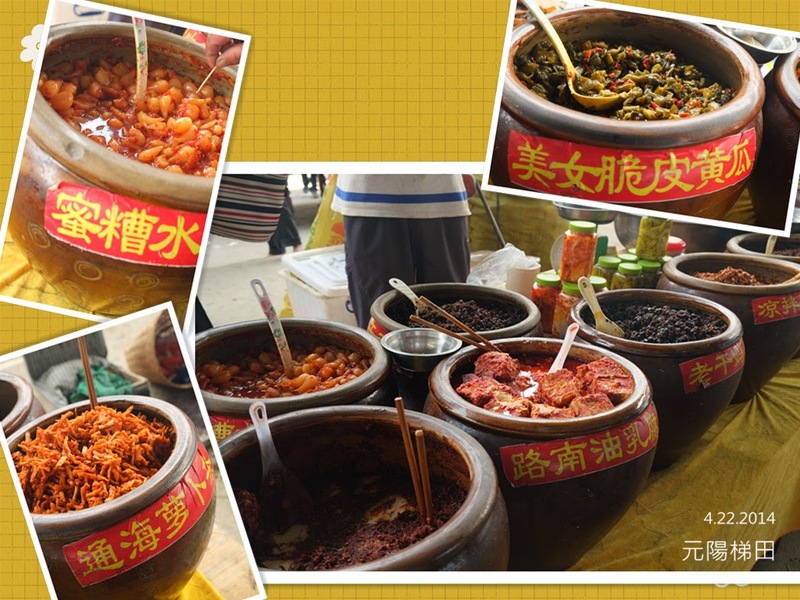 Going to the market at NiuJiaoZhao is a tourist activity. 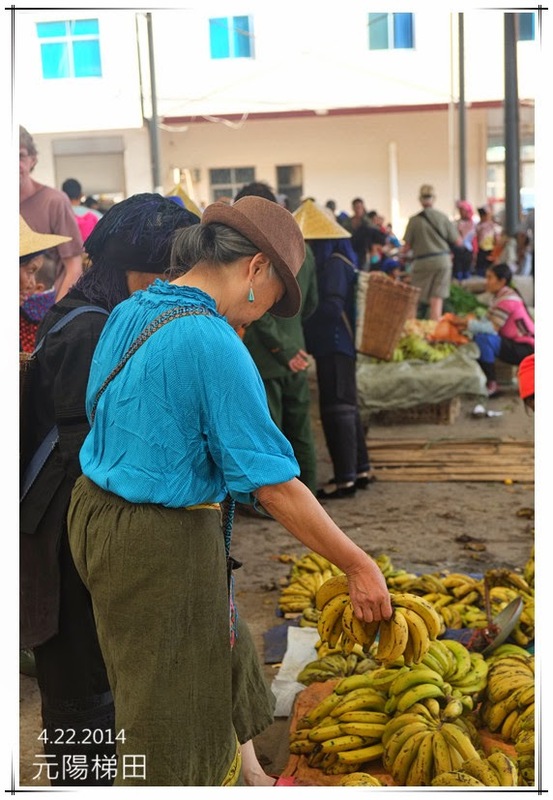 However, in reality, one of the major tasks at the guesthouse is to do shopping at the market. Tourism developed rapidly at Yuanyang in the recent years, many new guesthouses opened. However, there are very few restaurants, so guests usually eat all their meals at the guesthouse. Uncle Tang goes to the market at least once every other day to buy food, when it is the market day, the market will have a lot more products, and it is a better chance we get good stuff. This is an important task. Based on our observation in the last 10 days, the most difficult task is to be able to forecast how much food is required. This is the low season in Yuanyang now, we do not have many guests. However, we must stock some food in case that are walk in customers. If we end up with too much food, we have to eat them, it is very funny sometimes when you see that our meal is so much better than the customers’…. Sheng village is about half an hour from DuoYiShu, where we go shopping most of the time. Yesterday was a market day at Sheng village and it is busier than a regular day. 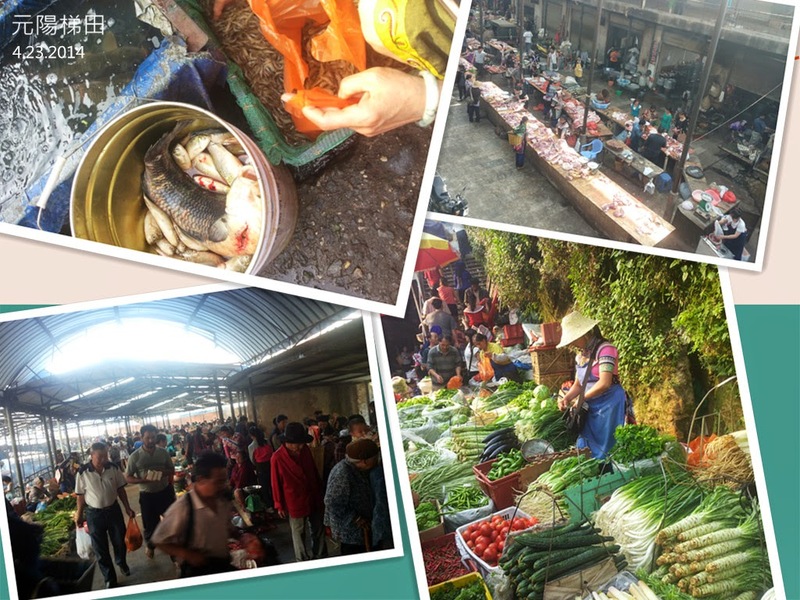 Today is the market day at XinJie town (the old main town of Yuanyang) and the market is so filled with people and very lively. 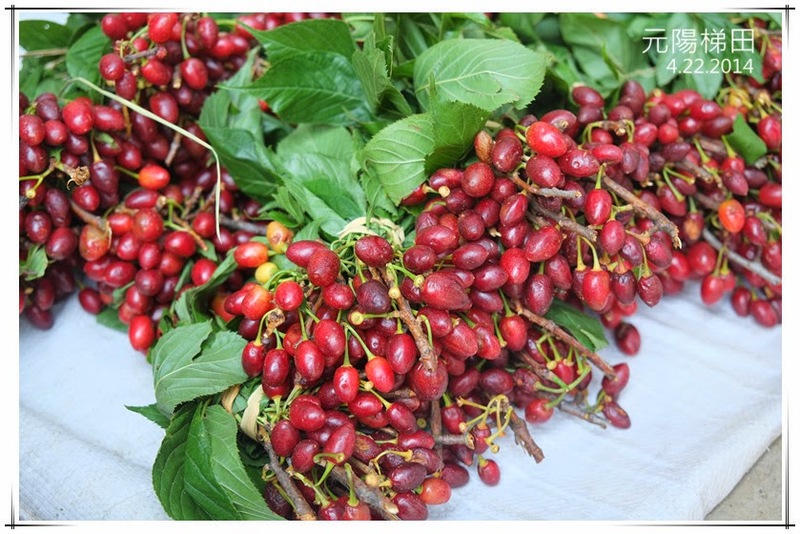 This morning, we take two guests to XinJie town while we also visit the market. The variety of products here are much better than Sheng village. E.g. you will not be able to buy bread, milk and even nice paper napkins in Sheng village. Whatever you think is very easy, we have to drive for an hour to get it. 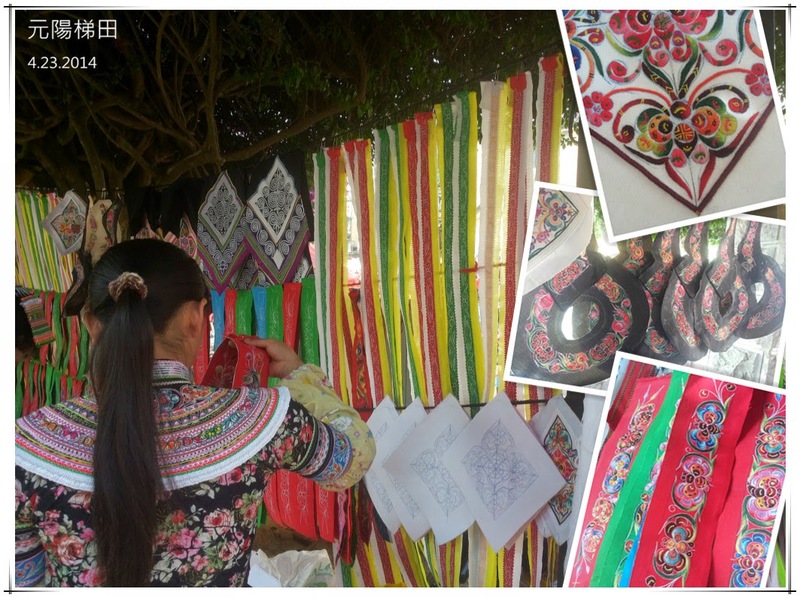 Apart from food and grocery items for the guesthouse, I also asked the helper at the guesthouse, who is from Yi tribe, to take me to the market to buy embroidery supplies so she can teach me to do some local embroidery work. Today, we shop for a long time, and buy a lot of stuff. Mat stays at the guesthouse on his own. He even calls to see if we will have lunch before coming back! Haha, he calls at the right time, because we are almost home and he can come up to help carry our shopping baskets!